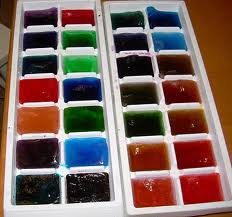 So today we used some ice cube trays and put drops of different food colorings in each square to color the cubes. Then we put the trays in the freezer. After they became frozen my son had a lot of fun watching them melt in bowls, coloring the water. He loved taking two different colors like blue and yellow and watching them melt into green. Well we decided to enjoy what Mother Nature has made for us. We took the day and went on a nature walk at our local State Park. 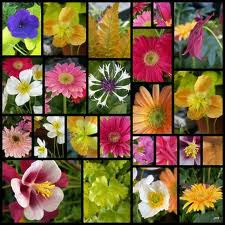 I thought it would be fun to collect as many different flowers we could find and study the differences among them. Teaching the kids that flowers are more than just pretty and smell good was fun. I think learning that in different parts of the world there are flowers that grow specific to that area was interesting to them. All in all, it was a very fun day!